Description: An 11-piece Afrobeat orchestra with a rowdy blend of African rhythms, exotic melodies, slamming percussion, and monstrous horns. Biography: Socially charged in the tradition of African greats like Fela Kuti and as intoxicating as a drop of honey on your lover’s trembling backside, Aphrodesia’s music and stage show are irresistible. 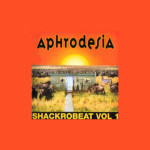 Emerging in 2003 from the fertile San Francisco Bay Area music scene, Aphrodesia’s highly original brand of “Super Afrobeat” and uncompromising political stance made them resist easy classification. In 2004, the band exploded into the national consciousness with the “Just Vote Tour”, a swing-state voter registration tour that took the band all the way to NYC and back in their vegetable oil-powered bus and landed the group on the cover of USA Today. Showstopping performances at the High Sierra Music Festival and the Baja Bash also won the group high praise, as well as several phenomenal tours from Southern California up to the Pacific Northwest. 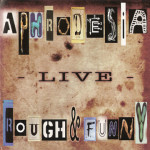 Aphrodesia’s music carries with it a strong sense of social justice, and the band has been known to write their own politically-charged lyrics while updating Fela Kuti classics like “No Agreement” and “Zombie”. But the band’s commitment to social change extends offstage as well. 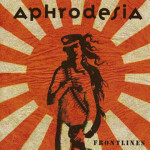 Aside from headlining numerous benefits for causes ranging from AIDS prevention to Tsunami Relief to anti-Iraq War organizations, Aphrodesia is devoted to “walking the walk as well as talking the talk.” Believing that alternative energy is necessary both to protect our planet’s environment and to reduce America’s dangerous dependence on foreign oil, the band proudly travels in a vegetable-oil powered bus – meaning it’s one of the few groups of any stripe not sponsored by Chevron, Exxon, or others. It may be a small start, but the group believes that its actions, like its music, can have a huge effect. 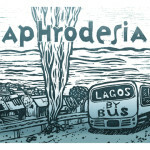 When much of America last heard of Aphrodesia, the explosive 11-piece afrobeat-inspired band from San Francisco, the band was fueling their bus with recycled vegetable oil and driving cross-country on their self-proclaimed “Just Vote Tour”. The group visited swing states to register voters in advance of the 2004 presidential elections, and to preach the virtues of alternative fuel. Apparently, the group hasn’t learned to think small since. In February 2006, Aphrodesia once again took their high-energy show on the road in a bus that runs on bio-diesel. But it was not a road that they (or indeed any other American afrobeat or West African-inspired band) had before traveled: Aphrodesia toured Ghana and parts of West Africa for one month. The tour kicked off with the band performing as part of the Africa Unite Festival in Kumasi, Ghana, on February 4th and Accra, Ghana on February 6th. The Festival celebrates Bob Marley’s 61st birthday, produced in part by Rita Marley and the Marley family. After the Festival, Aphrodesia’s tour, booked by Alliance Francais, included tour dates throughout the rest of Ghana, Togo, Benin, and perhaps Burkina Faso. What’s more, the band traveled in a bio-diesel-powered bus donated by the Ghanaian Ministry of the Environment, which soon plans to integrate bio-diesel into the country’s transportation system. The Ministry was eager to use Aphrodesia’s visit to promote this method of alternative fuel. Aphrodesia isn’t a complete stranger to Ghana. Lara Maykovich, the band’s lead singer and co-founder, lived in Ghana in 1997 and 1998. Indeed, much of the band’s first album, the acclaimed “Shackrobeat Vol. 1”, contains traditional Ghanaian melodies arranged by Maykovich, with original music composed by the group. Aphrodesia’s involvement with bio-diesel and alternative fuel came about when guitarist David Satori, joined the group in 2004. Satori, a co-founder of the Clean Fuel Caravan Coalition, a Bay Area-based collective of bio-diesel mechanics and resources, introduced the band to the wonders of traveling on vegetable oil and bio-diesel fuel. Satori notes that helping promote alternative fuel in West Africa fits with the band’s vision of a healthier, more independent and sustainable future. “This part of the world has been devastated environmentally by the effects of the oil industry. We felt that if we were going over there we had to at least try to bring attention to an alternative,” he says.